With some amazing new launches from Sisley Paris this year, I was so excited about them since I got a glimpse of the product during the Sisley Paris fall preview last month in Toronto. 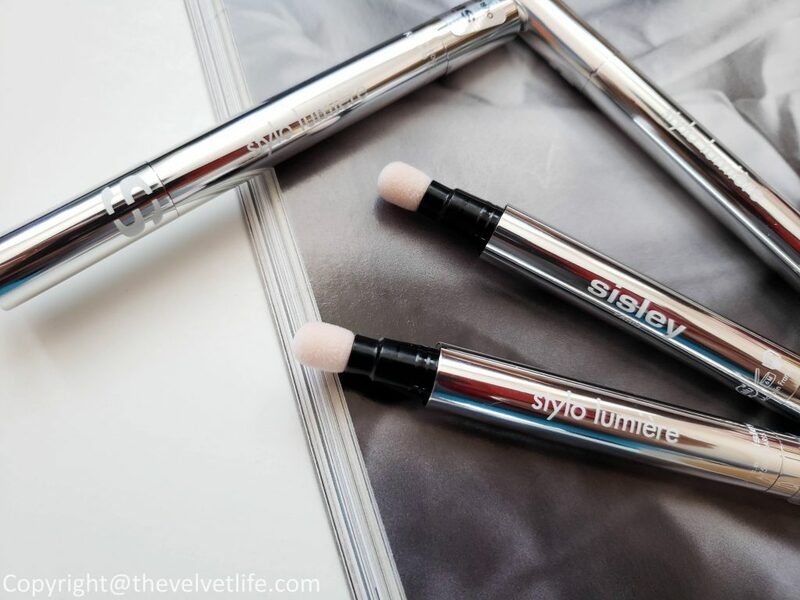 I did try the Sisley Paris Stylo Lumiere cushion pen during the event and was so looking forward to getting mine and no need to say again, I am using this every single day since I received them. 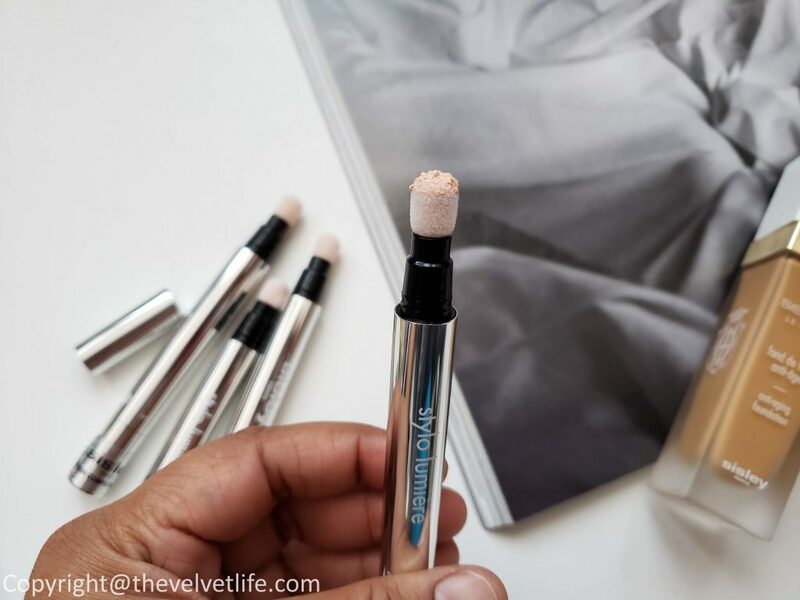 Sisley Paris Stylo Lumiere is an all-in-one cushion pen that captures the light, conceals signs of fatigue and helps smoothes wrinkles and fine lines with a single twist, giving a more radiant complexion, shadowy areas are concealed and eyes are brightened. ‘Spectacular Light’ pigments in the formula help boost the skin’s radiance. It has a refractive index close to that of a diamond, the pigments attract and reflect light effectively. The formula’s smooth surface act like thousands of tiny mirrors to cloak skin in a halo of light. The pigments are coated with Lecithin (derived from soybeans) to create a formula that melts into the skin and provides coverage. It helps with erasing imperfections and signs of fatigue, the soft focus agents create an even, smoothing and satiny finish on the skin to reduce the appearance of wrinkles and fine lines by giving blurring effect. The formula consists of two film-forming polymers (Hydrolipidic Polymer and Lipophilic Polymer) to resist caking. 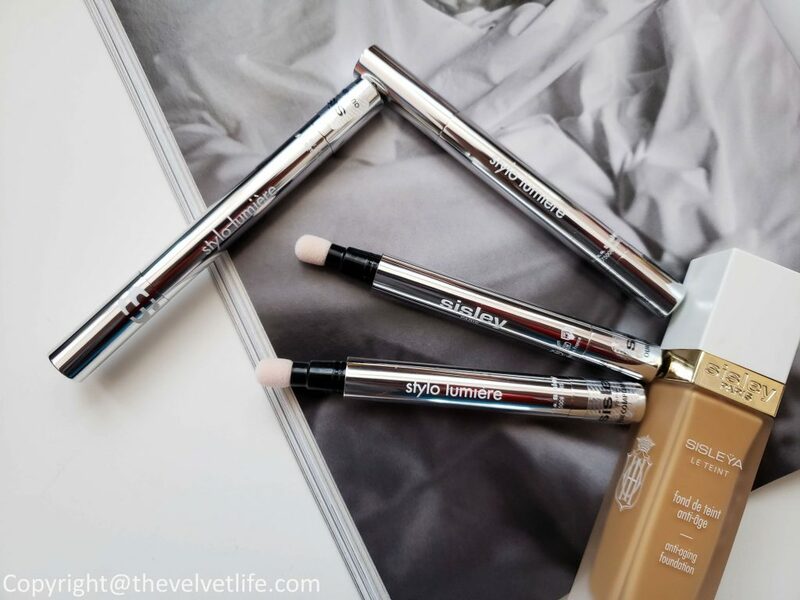 Sisley Paris Stylo Lumiere can be applied in three different ways: alone on bare skin, before foundation to refresh features, and after foundation to brighten shadowy areas. Twist to soak the foam tip in the product then apply to brighten and/or retouch with a tapping motion. Blend with fingers for the perfect result. I have been using this cushion pen every day and been really loving the finish. For just brightening the face on no-foundation or no-makeup look, which I prefer on the weekends, it works great, blends in beautifully on the skin, making it look like second skin, the skin looks radiant, naturally flawless by blurring problem areas, smooth, and soft. 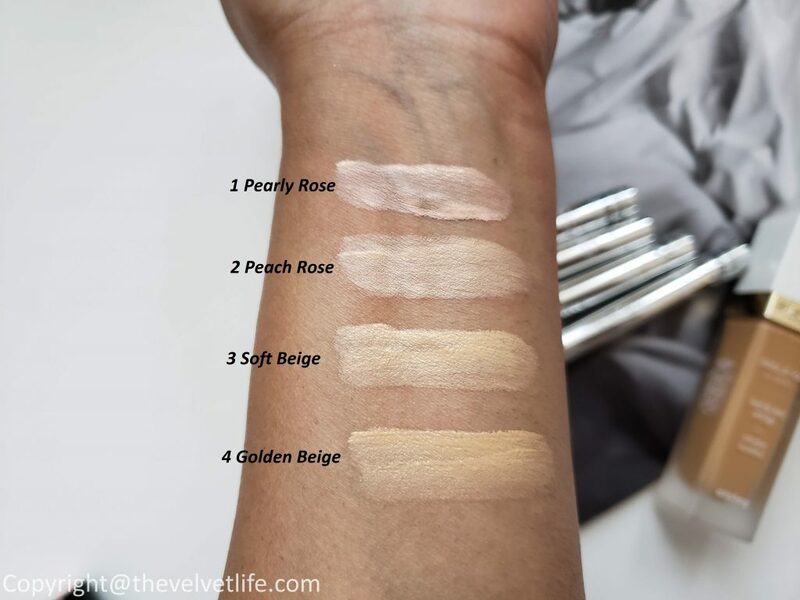 On the foundation, it makes the skin bright and the skin looks natural yet flawless with the blurring and smoothing effect on the skin that it provides. I use it around the eye area to brighten up the tired eyes or even works great when kids kept me awake on the previous night. On the center of the forehead, bridge of the nose, under the brow bone, it gives a radiant and lifting effect. The formula blends in so nicely into the skin, a true second skin effect. It does not settle in the problem areas and is hydrating yet satiny smooth, no oiliness or greasiness. 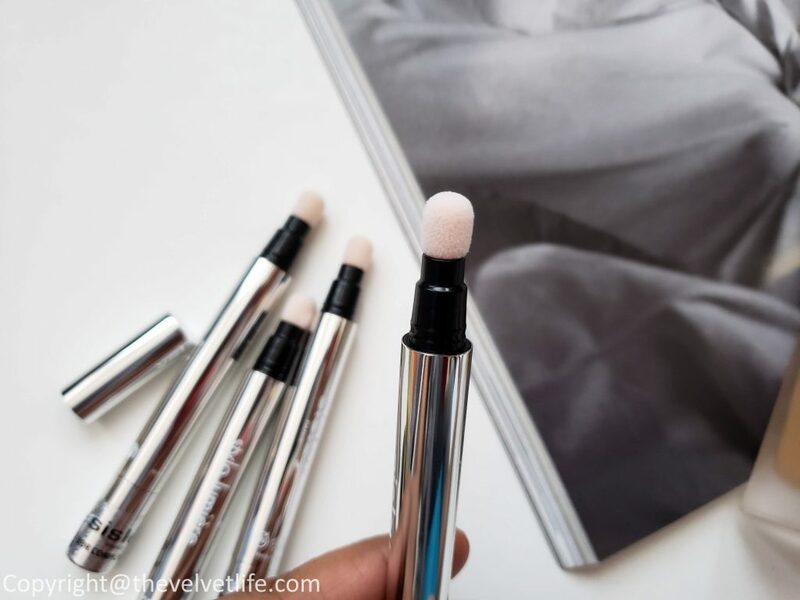 The packaging is so classic, the silver exterior looks so shiny and like a jewel, the soft foam of the cushion applicator helps with an easy application. The twist-on works well to get the perfect amount out on the foam cushion, you get to try a few times to get hold of it. I dot the product on the areas I want to brighten and blur the imperfections, then I blend. I prefer to use my finger to tap and blend in the product after application. Also, I feel the warmth of the skin on the fingers, makes the product melt into the skin. I alternate between shades 3 Soft Beige and 4 Golden Beige, they are going to be on rotation as the season changes. 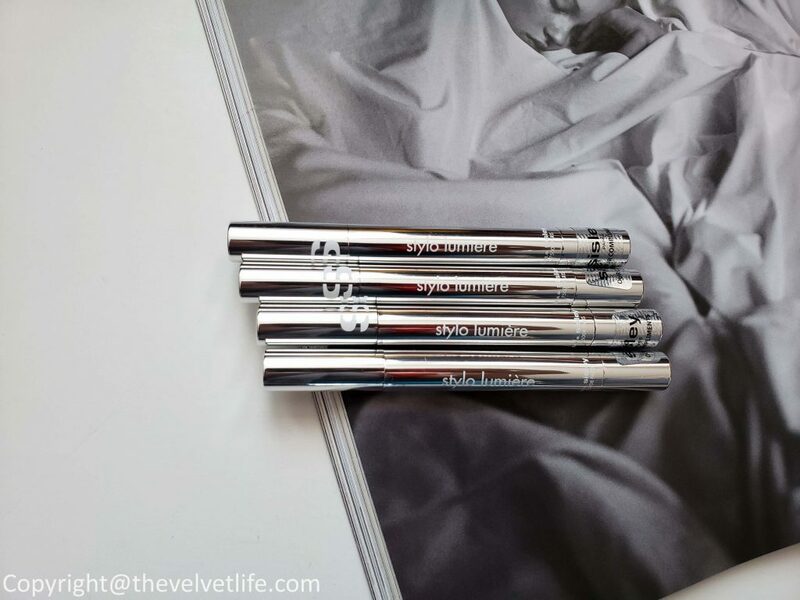 I was so excited to share my happiness and review of Sisley Paris Stylo Lumiere Collection with you guys, so obsessed with it that I highly recommend you to check this out. 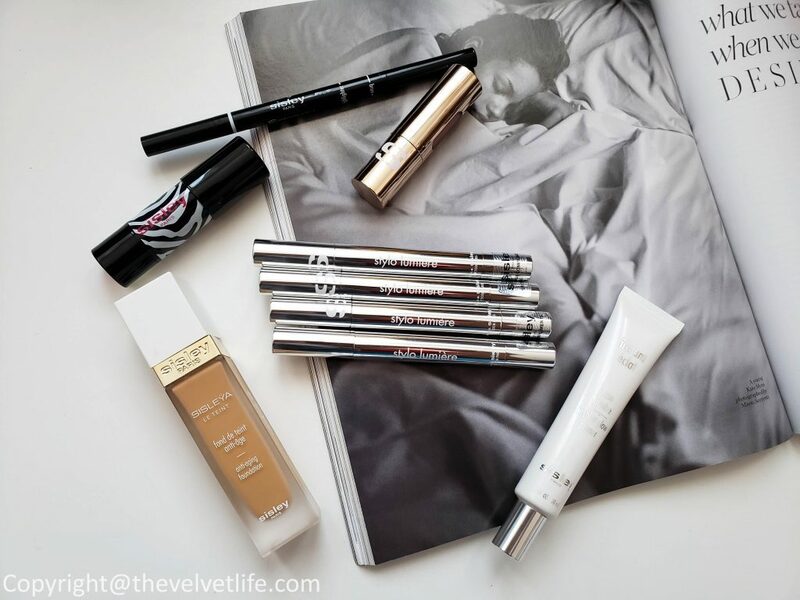 I have the new Phyto-Lip Delight for my dry lips this fall and the Stylo Lumiere on heavy rotation. Sisley Paris Stylo Lumiere Collection is available at Holt Renfrew, Saks Fifth Avenue, and Nordstrom.